On the island of Crete in Hersonissos, a violent fierce attack by a Dutch hotel clown was made against a Russian family's child. As you may recall, earlier in 2013, three Dutch clowns beat a boy at the Dutch city of Volendam's clown festivities (which involves over 200 clowns) in January. In Crete, according to the forensic findings the child, aged 11 years, was stabbed 20 times in the chest, back and left arm. No sexual abuse was found. 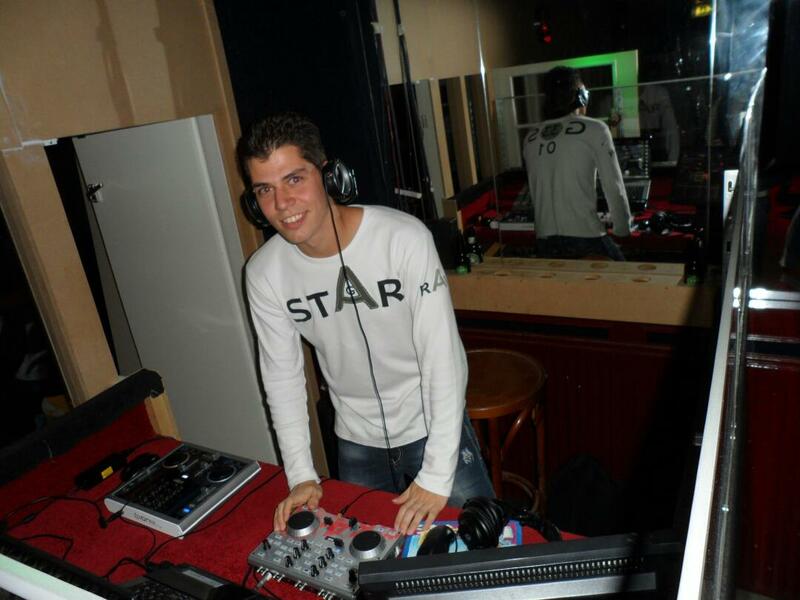 Police authorities have arrested a 20-year-old Dutch hotel employee, who allegedly has confessed that he is the perpetrator of the attack on the minor. He was the hotel's clown. Here are some of the photographs of the suspect from European newspapers. 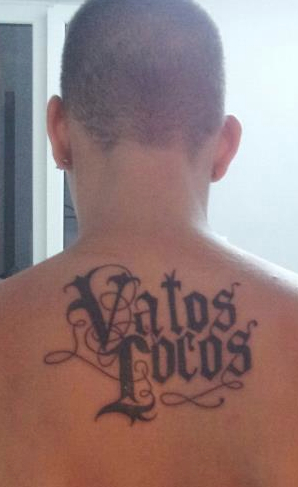 On his back is a tattoo with the words, "Vatos Locos." 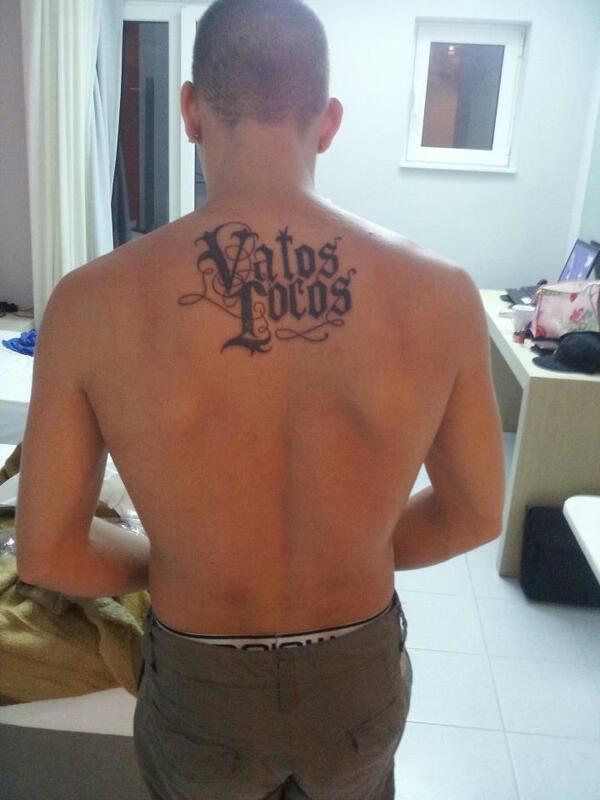 Vatos Locos (in English, Crazy Dudes) is a widely used name for a street gang. Gangs using this name are active in several American states. The film Blood in, Blood out (1993) about the life of poet Jimmy Santiago Baca in 1972, was based on the experiences of gang members of Vatos Locos. The video game Call of Juarez: The Cartel features a fictional Vatos Locos gang. The 11 year-old lost his cellphone and laptop, went searching for them, and then was lost. His parents, who had been looking for their child, did not find him until 3:00 AM in the hotel parking garage. After a lengthy police interrogation, the young Dutch hotel clown reportedly confessed he stabbed the kid and directed the police to where the knife could be found. The child is of Russian origin and is with his family in Crete for a holiday. Hersonissos (Greek: Χερσόνησος, pronounced [xerˈsonisos] - Chersónisos), also transliterated as Chersonisos and Hersónisos, is a town and a municipality in the north of Crete, bordering the Mediterranean/Aegean Sea. The vicinity of Hersonissos is noted for its prehistoric archaeological finds. On the coast approximately one kilometer to the east of Hersonissos was an ancient temple dedicated to the goddess Britomartis. Britomartis (Βριτόμαρτις) was the Minoan goddess of mountains and hunting. 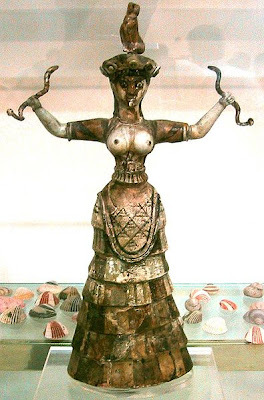 She is among the Minoan goddess figures that passed through the Mycenaeans' culture into classical Greek mythology, with transformations that are unclear in both transferrals. For the Greeks Britomartis (Cretan dialect for "sweet maiden", "sweet virgin") or Diktynna (derived by Hellenistic writers as from diktya, "hunting nets") was a mountain nymph (an oread) whom Greeks recognized also in Artemis and in Aphaea, the "invisible" patroness of Aegina. Britomartis ("sweet maid") is an epithet that does not reveal the goddess's name, nor her character, for it has the ring of an apotropaic euphemism. The goddess addressed as "Britomartis" was worshipped in Crete as an aspect of Potnia, the "Mistress." The oldest aspect of the Cretan goddess was as Mother of Mountains, who appears on Minoan seals with the demonic features of a Gorgon, accompanied by the double-axes of power and gripping divine snakes. Her terror-inspiring aspect was softened by calling her Britomartis, the "good virgin," a euphemism to allay her dangerous aspect. Britomart figures in Edmund Spenser's knightly epic The Faerie Queene, where she is an allegorical figure of the virgin Knight of Chastity, representing English virtue—in particular, English military power—through a folk etymology that associated Brit-, as in Briton, with Martis, here thought of as "of Mars," the Roman war god. In Spenser's allegory, Britomart connotes the Virgin Queen, Elizabeth I of England. In his retelling of the King Arthur legends, Arthur Rex, author Thomas Berger suggests that Queen Guinevere may have become a powerful female knight known as Britomart after the death of the King. BTW, media sources are also reporting the attack occurred in the "seaside town of Anissaras" and "in Iraklio, Crete." "Anissaras" is a hilly area in east Crete just outside of Hersonissos. "Iraklio" is another spelling for Heraklion, or Heraclion, where the famed ruins of Knossos were excavated and restored by Arthur Evans. English usage formerly preferred the classicizing transliterations "Heraklion" or "Heraclion," but the form "Iraklion" is becoming more common. T.V. adds, "the place name Chersonissos means literally 'Peninsula.'"